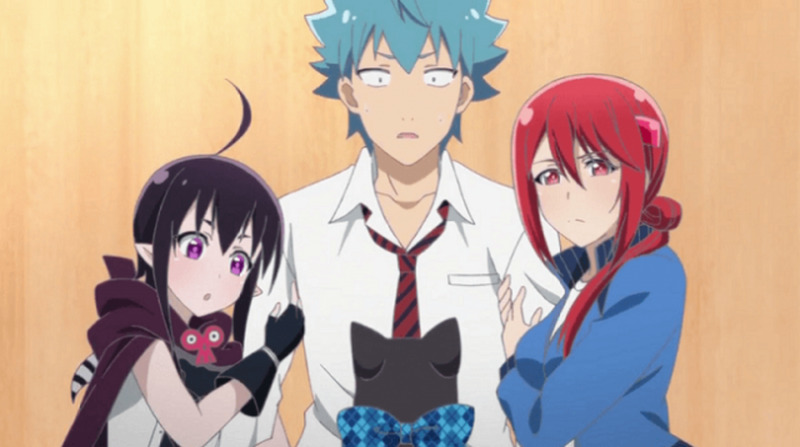 How great was the harem genre in anime last 2017? It was great, but not outstanding! 2017 presented new titles from the genre. However, not all of them amassed unanimous acceptance in being truly striking. The genre itself has waned in popularity throughout the years. Still, some particular titles manage to shine from time to time. Here on this list, you’ll find the five best harem anime of 2017. It’s in your discernment now whether you’ll like them or not. If you think there’s a title missing here, feel free to add it in the comments so everyone would know. Despite how lame his previous life was, Kazuma sure is lucky! Not only does he get to live his second life in a fantasy world, he also ends up having a party consisting of only pretty girls. The only drawback? They’re all as weird as he is! 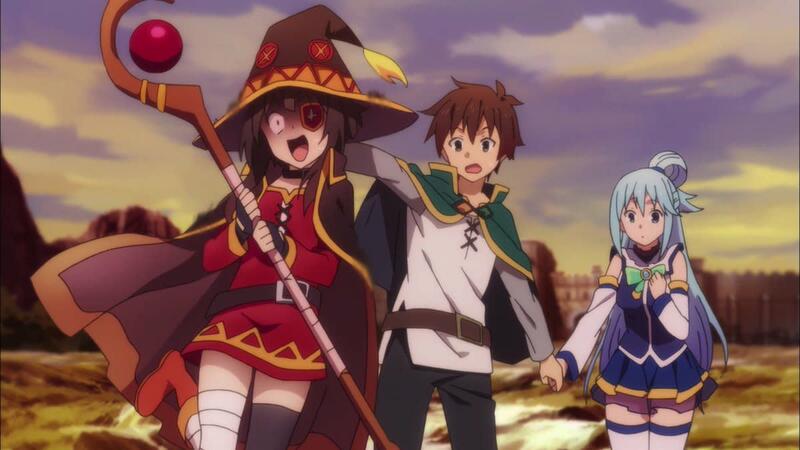 Picking up the story from season 1, KonoSuba season 2 continues Kazuma’s wacky adventure in a world where he has to ultimately defeat the Demon King! The whole cast is back—and they’re all as odd and as funny as ever! If season 1 was just a drill for the laughs, then season 2 is the main event for the guffaws! Or perhaps not. As long as KonoSuba exists, the cackles will never end! What this anime excels at is that it never tries to be serious. It ceaselessly hurls tropes and cliches, here and there, with utmost hilarity and ridicule. This is not an ordinary harem/fantasy/comedy anime. KonoSuba is a show that breaks all molds, producing euphoric memories that can never be forgotten. In this curious story of revenge, a young man puts his nose in the grindstone transforming his overweight body to its finest form. Masamune vows to take revenge on the girl who rejected him and ridiculed him by giving him the moniker “Pig’s Foot.” He plans to do it by making her fall in love madly with him and reject her in the grandest way possible. Sounds like a decent plan for a sweet payback, doesn’t it? Even though Masamune-kun no Revenge is a harem anime, it has a clear romantic pairing. But still, a harem does not require romance to work. It only needs the girls to exist. And this show does exactly that! The only sad thing about it is that it starts off with great potential, and then it declines. With appealing visuals, unique character dynamics, and an interesting plot—it is beautiful, nonetheless! Masamune-kun no Revenge may seem generic and draggy in its later episodes, but that’s because it is clearly not over yet! It is far from its conclusion, so it is still too early to judge it as a whole. Despite all of this, it is still one of the most decent harem anime shows of 2017! Imagine having a Death Note, but instead of possessing the power to kill, it possesses the power to love! How silly is that for a notebook that is fittingly named the Kiss Note? Well, someone thought it up, and the result was sure enough as funny as heck! The very moment the cupid, Guri, accidentally wrote the name of Seiji in her Kiss Note, she knew that she was in for a lot of trouble! 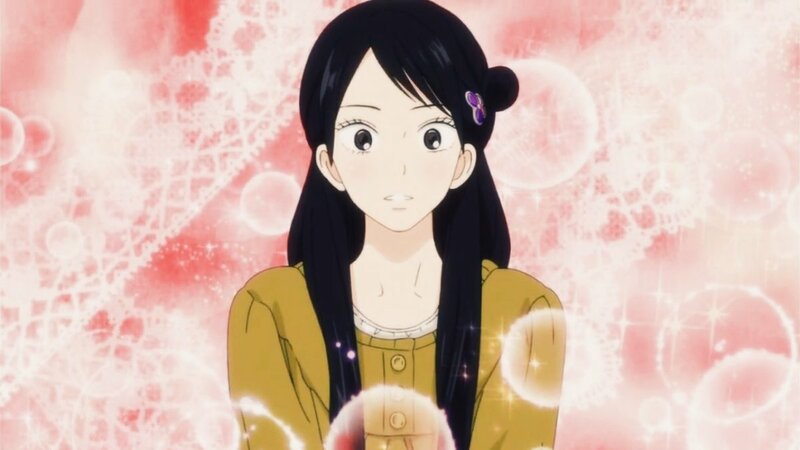 Not only will she die if Seiji fails to kiss someone within 24 hours, Seiji will also remain a virgin all his life! And so, Guri quickly formulates a plan—a plan that will ultimately complicate things even more! There’s no turning back. Everyone has been caught in a lovely mess! Likeable or not, Renai Boukun is one of the silliest shows of 2017! It is very funny and has a lot of fan-service. It made me giggle a lot while it lasted. This is the kind of anime one should watch for pure, unmitigated, nonsensical fun! 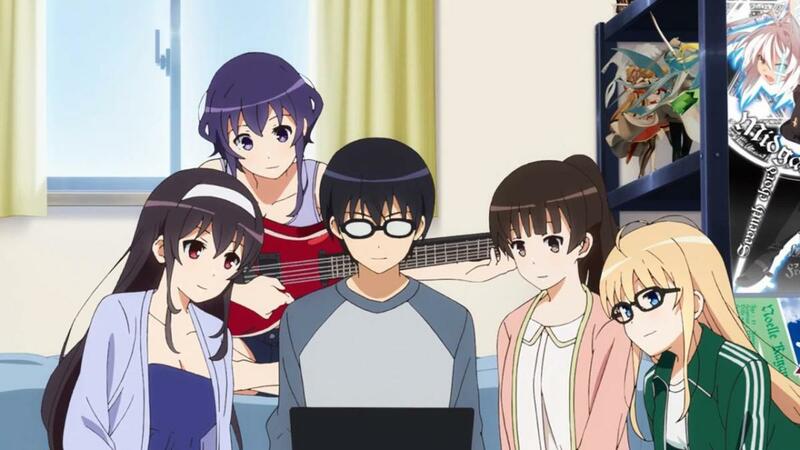 Ever since the first season of Saekano aired in 2015, I already considered it one of the best harem anime shows I have watched in my life! That being said, Imagine my delight when its second season aired in 2017. Continuing from the previous season, Tomoya Aki and the girls are still on their quest to fully develop their very own game. There are obstacles and struggles, but nothing is going to stop them from fulfilling their dreams. As usual, Aki is still an otaku. Despite having several pretty girls flocking over him, he shows no interest because he’s only interested in 2D girls. Dude, why you are you wasting the rare opportunity? Yet, this is the premise that makes this anime truly special. 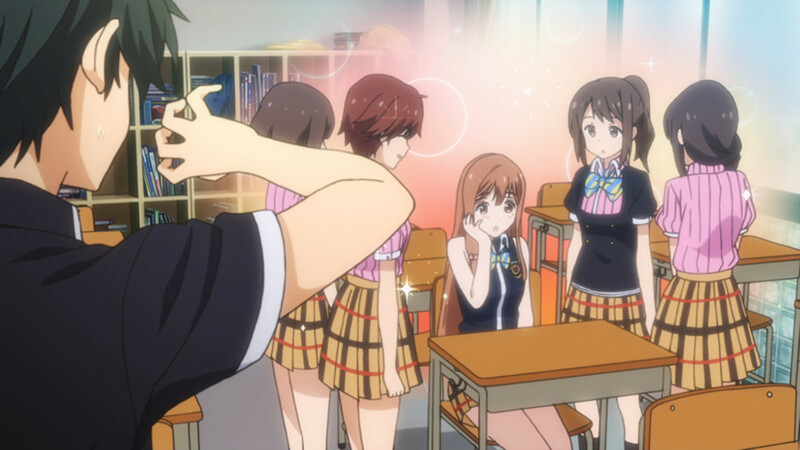 All the elements that makes up Saekano blends so well together that it is almost magical! While its front may feel underwhelming, its entirety is something truly astounding. In a way, it is deep and very well-developed. The characters grow and the plot progresses sophisticatedly. As for its superficial qualities like the visuals and sounds, they’re above average, if I must say. 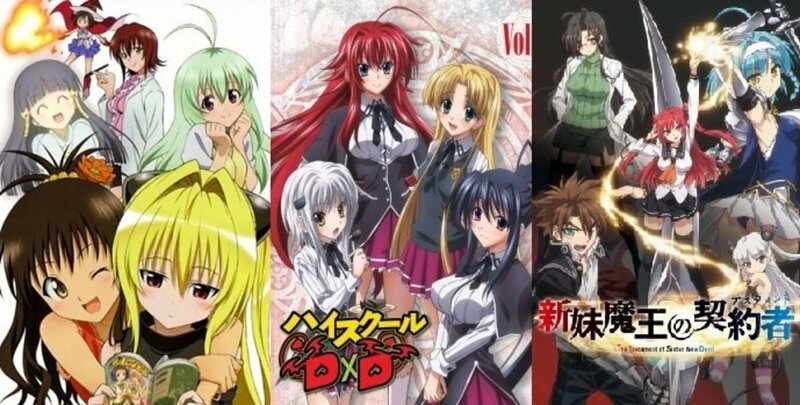 Overall, this is show that any fan of the harem genre should never miss! There’s no shred of doubt that Tsugumomo is a generic anime in all its aspects. It starts off with an ordinary boy living his mundane life. Then, a life-changing event suddenly occurs. Somehow, he obtains a great power and an important responsibility. Also, all sorts of girls begin swooning over him! I’m telling you: It can’t get any more generic than this! But then again, this is a special case. 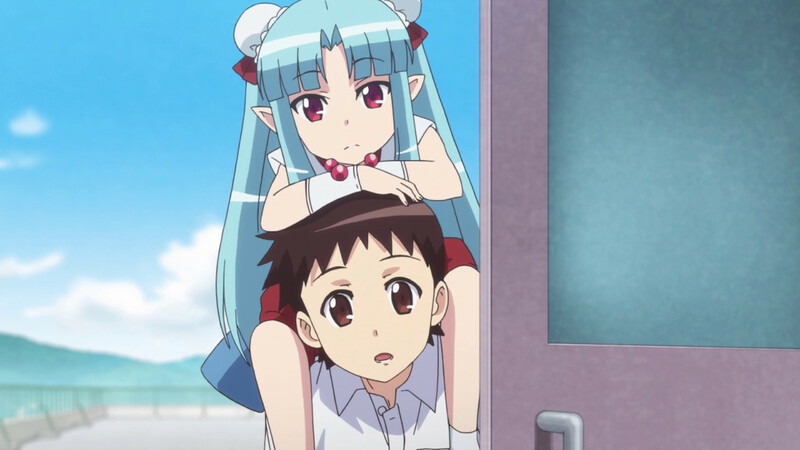 Even though Tsugumomo is trapped in a vortex of pallid popularity because of the bad reputation of the genre it represents, it is actually special in that it actually effectively showcases all the strengths of its genre! In short, it has the power to bring out the best qualities of the genericism of the said genre! What’s different about this anime is that it actually develops its characters. Its plot is also quite interesting and engrossing. There’s a lot of action, comedy, and fan-service in it! What else would any die-hard fan of the genre want? I, myself, didn’t find it boring and bland at all. Sure it is generic, but this anime made me think that if all generic anime were like this, then the genre would gain even more traction and popularity. Which of the titles listed is your favorite 2017 harem anime?